ANTIPOLO CITY, RIZAL – For nearly 50 years, cement manufacturer CEMEX Philippines has been largely using fossil fuels, particularly coal, which it uses to blend chemicals that create cement in its powdered form. But in recent years, the company has gradually shifted to using alternative fuels in an effort to lessen the impact on the environment. Not that the company has been generating and releasing pollution into the atmosphere. But the plant, particularly the one in Antipolo (another CEMEX plant is in Cebu), aims to follow the footsteps of global manufacturing plants who are transitioning to using alternative fuels. 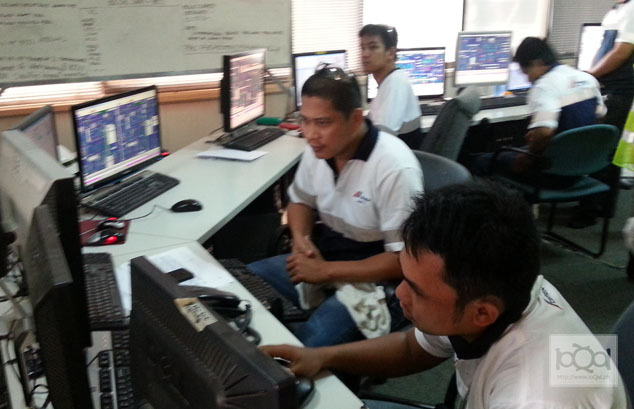 During a recent media plant tour of CEMEX's plant in Antipolo, company officials highlighted co-friendly manufacturing processes. While some might be surprised that the company is incinerating plastics as fuel (it is illegal under Republic Act 8749 or the Clean Air Act), the company has adopted new technologies that completely burn plastics without releasing foul fumes into the air. The decision to move to alternative fuels started last July after CEMEX entered into a joint venture with the Department of Energy (DOE) Green Alternative Technology Specialist Inc. (GATSI), the International SWIMS (Solid Waste Integrated Management Specialist) Inc., and the Green Siam Resources Corporation. The plan is to use more biomass for cement-making operations. According to Sherwin San Pablo, CEMEX Plant Director, the plastics come from discarded trash, which would have otherwise ended up in landfills. By taking the plastics and using them as fuel, not only they minimize plastic waste, they also save on energy by reducing the need to burn coal. Interestingly, limestone, which is one of the raw materials used in making cement, can also trap the constituents from burning plastic. Even the burning process, which could reach as high as 1,400 degrees Celsius, encapsulates the chemicals from burning plastic. "We take all efforts in making sure we don't release burnt particulates into the atmosphere. It also helps the local government unit of Antipolo reduce a type of waste product that would have otherwise caused more environmental damage," San Pablo said. San Pablo also noted that globally, other cement manufacturers from developed countries have successfully transitioned to using about 70 percent alternative fuels, mainly garbage. The company currently uses 20 percent alternative fuels but plans to move towards 50 percent by 2015. The company is also partnering with a Chinese power manufacturer to build a six-megawatt waste heat recovery plant that would reuse heat from manufacturing. "We produce around 1.5 million metric tons of cement, and that's a lot of heat that we can reuse to produce more cement at a lesser cost." The CEMEX plant is about 62 hectares and is located beside Mount Pantay, a giant limestone quarry that is the source of CEMEX's raw material. There are several huge warehouses where giant crushing machines, blending silos, condition towers, and kilns are located. One of the towers is about 50 stories tall and has gigantic pipes carrying the processes cement down into rotating kilns. Even the rotating kilns are huge; one can fit several dump trucks. But even for a huge plant, the manpower is surprisingly few – they only have 180 full time employees and 240 line workers. Automation is largely the reason for this low workforce. "We're trying to be as efficient as we can and we're using technology for this," according to Chito Maniago, CEMEX Director for Corporate Communications. Maniago said that many of the workers are actually living within or around the facility and their family members are provided with amenities such as their own living quarters, and schools. The presence of the plant has also enabled other communities to be put up, thereby supporting the needs of the workers and the plant itself. "It also becomes our duty to ensure that these communities are protected, thus we implement rehabilitation programs in the areas where we mine for raw materials so that these can be repurposed for the community,' Maniago said.